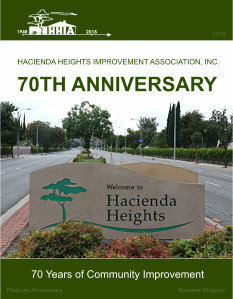 Events | HACIENDA HEIGHTS IMPROVEMENT ASSOCIATION, INC.
General Meetings (public): see HHIA Meetings page. On this day, organizations in Hacienda Heights join together to clean the sidewalks adjacent to the July 4th parade route as well as sections along Hacienda Boulevard. In the past, organizations such as the Boy Scouts and Hsi Temple, school groups and individuals have taken part in this yearly community event.